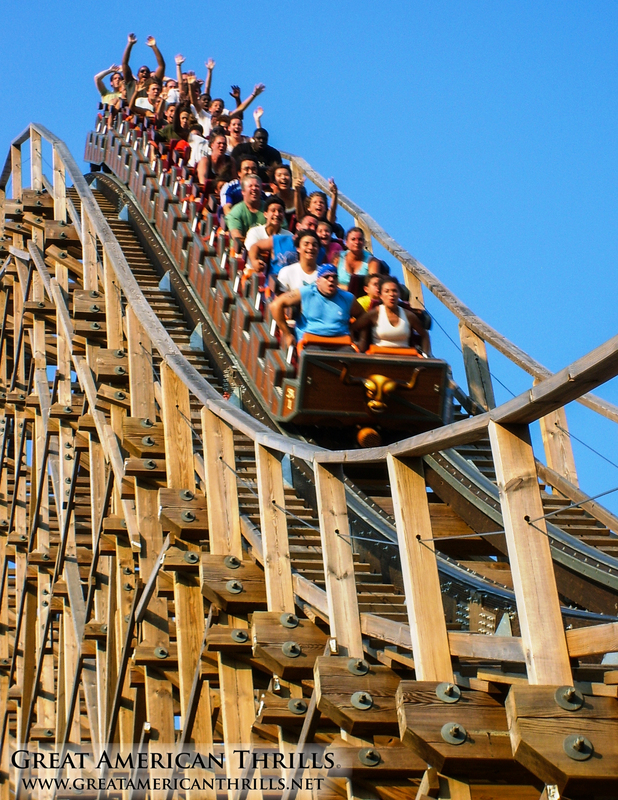 Since opening on June 11th, 2006 – El Toro has maintained the #2 or #1 spot in the world for wooden roller coasters. With the second steepest drop in the world (78 degrees), speeds up to 70 mph and airtime hills that would make any coaster phobic just looking at them, you can see why this next generation wooden coaster ranks so high. I swear that I caught Bubba the Love Sponge and (then) wife Heather Clem in the front row that day. Can anyone validate that claim? Consistently ranked the #1 wooden roller coaster in the world since opening. The smiles say it all.